it’s mid february and i’m ready for grilling season. here in wa, we’ve only really had one week of true winter, and the rest could just be called late fall/early spring. it. is. awesome. our grill is in the garage for “winter”, but i am ready to bust out the patio furniture and get our porch ready for summer. think she’ll try to steal anything from the grill? 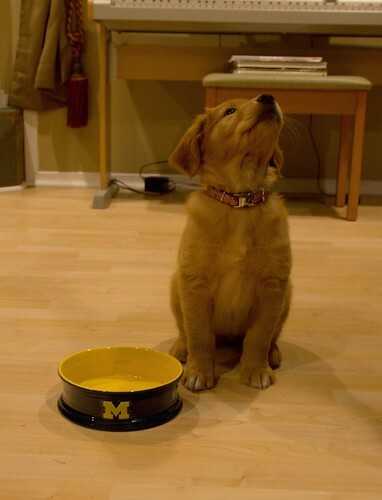 source: food network – the source also has great ideas for shrimp and chicken! 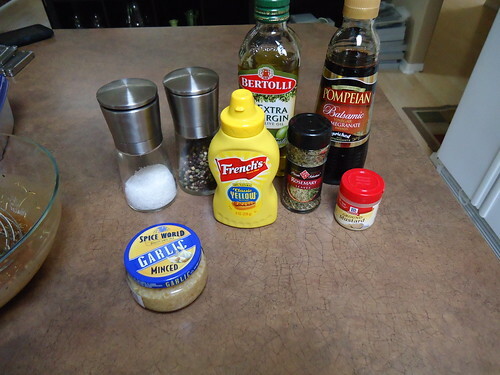 whisk together all of the marinade ingredients in a large bowl. 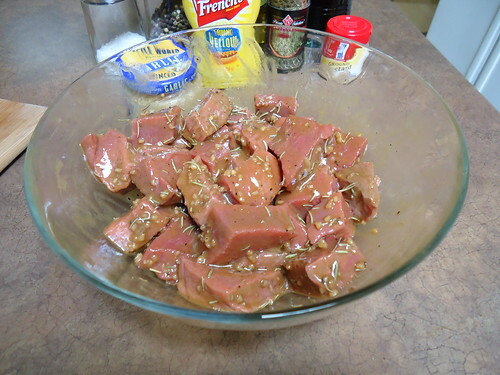 place steak in the bowl and toss until evenly coated. 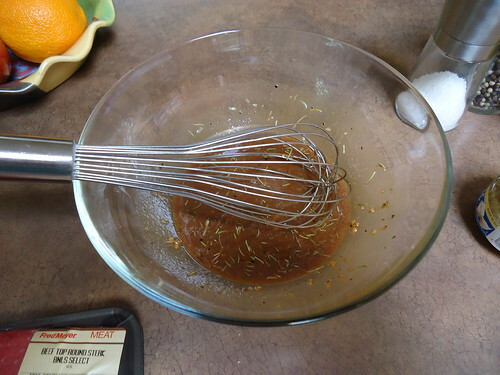 cover and marinate in refrigerator for at least two hours. 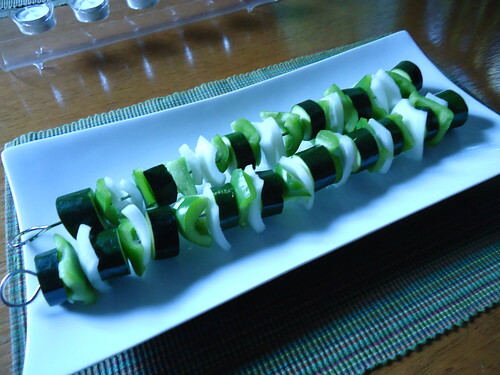 cut veggies into bite-sized pieces. 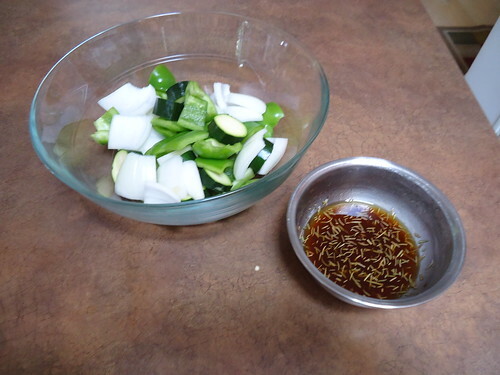 i made additional marinade and set it aside for the vegetables. 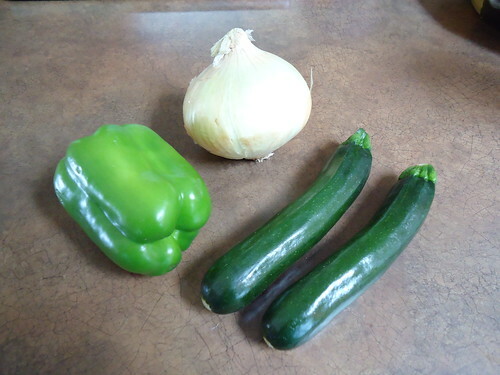 use this to baste the vegetables when grilling them. 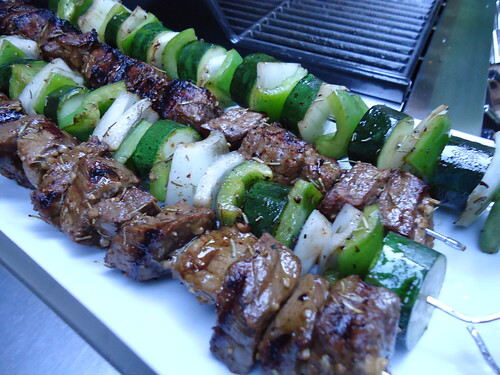 assemble skewers. i keep veggies and meat separate, but do whatever works for you. 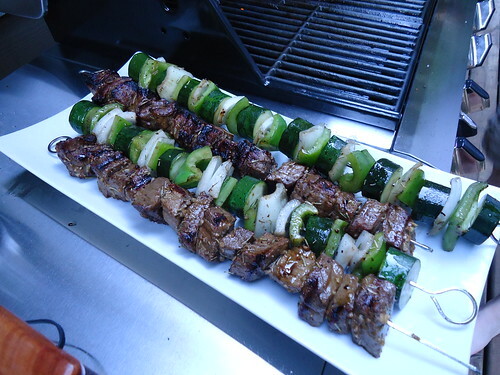 grill for 10-15 minutes, turning 1/4 rotation every 2-3 minutes until meat is cooked throughout.